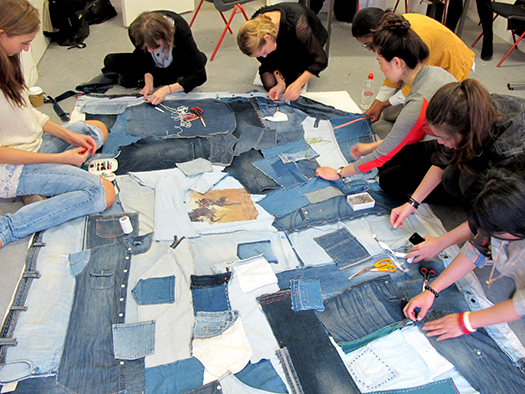 One of the exciting new courses to address fashion from a critical perspective is simply titled MA in Fashion based at Goldsmiths University in London. Whilst the title of the course seems rather generic, this 1-year Masters degree asks students specifically to interrogate fashion from the perspective of ethical, social and digital paradigms. 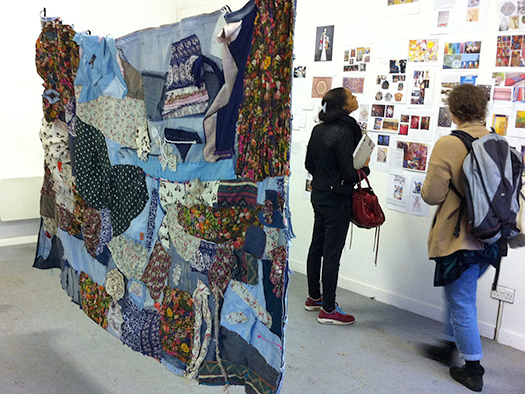 Unlike other similar MA courses, importance is not just placed on practice, but also on theory, levelling intellectual and aesthetic/design requirements. The course only started in October 2013 but it is showing signs that it will be vital in preparing future thinkers ready to propose relevant solutions, to offer well-thought responses and to shape dialogues in an industry that is oversaturated with unchallenging practices and uncritical approaches. Course leader Ruby Hoette, explained more about the course to us. How would you sum up the focus of MA in Fashion at Goldsmiths? The programme addresses fashion from diverse perspectives. It interweaves design and aesthetics with critical debate (including social, cultural and historical aspects) and ethical awareness. In this way students will explore fashion in context rather than isolating theory from practice. Goldsmiths has a rich history in fashion and textiles. It is the home of the wonderful textile archive recently renamed Goldsmiths Textile Collection & Constance Howard Gallery. Also iconic designers Vivienne Westwood, Margaret Howell and Mary Quant all studied at Goldsmiths. Among many others, renowned cultural and fashion commentator Professor Angela McRobbie thought it time to offer a new programme, MA in Fashion, which combines this rich heritage with Goldsmiths’ reputation for challenging the status quo in order to shape and support emerging practitioners who will go on to lead the fashion industry of the future. How do you see the course in the framework of Goldsmiths? Firstly, Goldsmiths has an incredibly strong reputation when it comes to critical practice and interdisciplinary research. Within this unique framework the programme is hosted by the Design department, which is well known for contemporarily engaged and future-sensitive programmes that cultivate versatile and forward-thinking graduates. Students are able to follow specific elective courses from the Media and Communications Department and Institute for Creative and Cultural Entrepreneurship as well as draw on the wealth of research in the departments of Sociology and Anthropology. 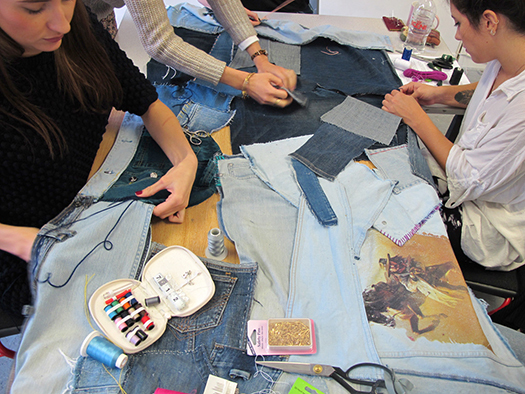 This rigorous environment is the ideal setting for the new MA in Fashion. It provides the opportunity to explore fashion through diverse facets, including the mediation of fashion, emerging business models, materiality and fashion’s performative power and futures-oriented role. It fosters a distinctive multidisciplinary methodology, which in turn delivers a dynamic learning experience that is flexible enough to allow emerging practitioners to tailor the outcomes of the programme to suit their individual creative aspirations. The core delivery is focused on three themes – ethical, social and digital paradigms – why? The structure of the programme is such that each core course builds on the previous one and informs the next leading up to the Individual Research Project that completes the programme. Each course or theme is a vital area of knowledge and understanding for emerging practitioners who actively seek to challenge traditional boundaries. Ethical Paradigms invites students to, in theory and practice, explore fashion as an agent of change. Structurally priority is given to the Ethical Paradigms course since this underpins the Digital and the Social. In this way, vital considerations like sustainability and social responsibility that shape globally aware contemporary creative practice, become embedded as an intrinsic focus of all research creative outputs that follow. Social Paradigms is the broadest of the core courses. It takes an interdisciplinary approach, drawing on cultural studies, anthropology, sociology, art history and social history. Its principal aim is to map out the breadth and scope of the social and cultural contexts of fashion, providing an entryway into the field from which students can develop and situate their own creative practice. Digital Paradigms introduces a fashion future(s) that is already here – a future where the fashioned body is a launching pad for groundbreaking technological advances, a future where the Fashion System itself is being challenged and re-engineered. Digital Paradigms examines the meeting point between fashion, science, technology and society, through materials driven theory and practice. It considers the increasingly vital role played by digital technology in both the production and consumption of fashion. What sorts of outcomes do you expect students to complete as part of their final Masters projects? The outcomes of the programme will be quite diverse, like the backgrounds of this first cohort of students. I imagine they will include, but not be limited to films, websites, creative business models, publications, articles, photographs, exhibitions, performances, collaborative projects, garment prototypes and collections. Above all I hope to see students produce work with the potential to shape a future in fashion that is innovative, inclusive and interdisciplinary. It is clear that we must cultivate new ways of thinking, doing and being fashion. This contemporary culture of fashion calls for creative practitioners – designers, writers, thinkers and curators that are aware and flexible, comfortable with working at the intersection of disciplines or even creating new ones.